I absolutely love going to work every morning because working in fashion gives you that much more freedom to express your sense through your clothing. However, from time to time, I like to rock the classic workwear look because I know that I can easily go from work to dinner and always look on point. 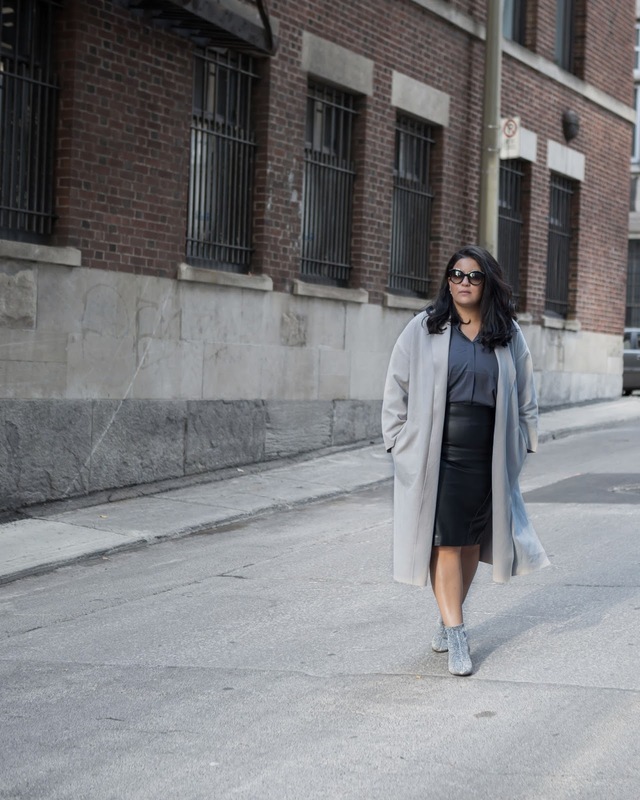 For this look, I've partnered with Reitmans to give you a sneak peek of Meghan Markle's second capsule collection designing for Reitmans. Yes, I watch suits and yes, I wish (just like every other girl) I had Rachel Zane's closet. 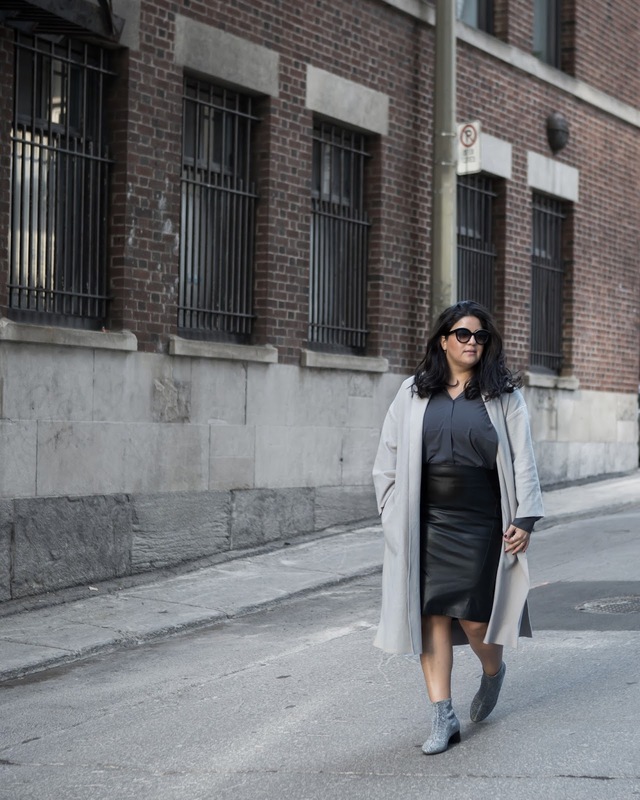 Well, for a second time around with Reitmans, Meghan Markle designed 5 versatile pieces that have that fashion twist. 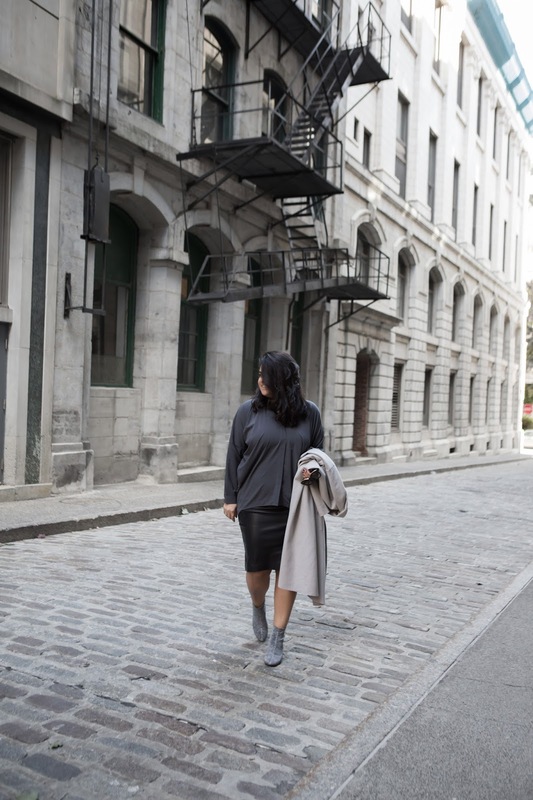 I opted for the ''Rachel Zane'' look and matched the pencil skirt with the Boyfriend shirt for that perfect office look. Meghan Markle's second capsule collection launches in-store and online on November 3rd but you can sign up here to get that exclusive access: http://www.reitmans.com/en/meghan_markle. Let me tell you one thing, you will need to get this skirt because it's the most comfortable faux-leather skirt I've owned aka perfect for those long hours on your computer. Tu es magnifique!! Stp donne-moi un peu de ta confiance!!! Puis-je te demander quelle taille tu portes?